and Melbourne, national tours through regional centres, performances in primary schools in NSW and Victoria, and a range of other activities including community participation events and free outdoor performances in Sydney's Domain and Melbourne's Myer Music Bowl. Opera Australia leverages every feature of our Foundation + code base. 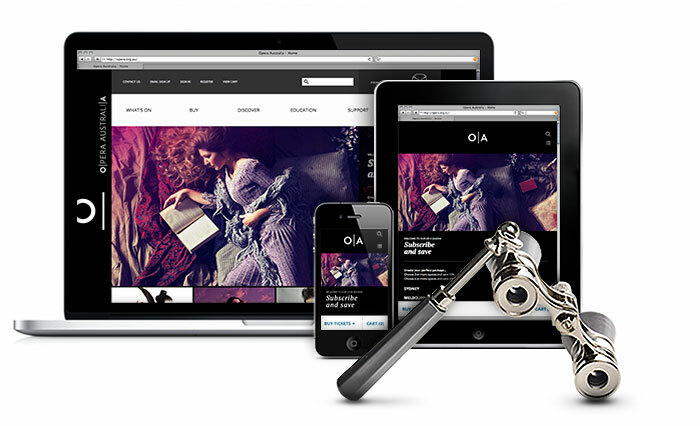 CYO packages, responsive design, the eRube2 pricing engine, and more. But the best part about their site isn't that they do the basics really well, it's that they've used the power of eRube to take their features to a new level. From drinks, program vouchers, and performances, to throwing massive New Year's Eve premiere gala parties, eRube helps them sell it all - exactly how they want to. Foundation+ wasn't a box for Opera Australia, it was a launchpad for smart and advanced implementations of out-of-the-box thinking. With the L2 development team and eRube2 as partners, Opera Australia was able to customize their online process to be exactly what they felt was best for their patrons. In designing and building the ACO's website, we provided a solution for supporting multiple delivery platforms with a single centralized solution. Using a responsive design approach, we meet their patrons where they access the website - through a single domain using desktop, laptop, tablet or mobile devices. From a content management standpoint this saves time, money and it eliminates the duplication of effort. 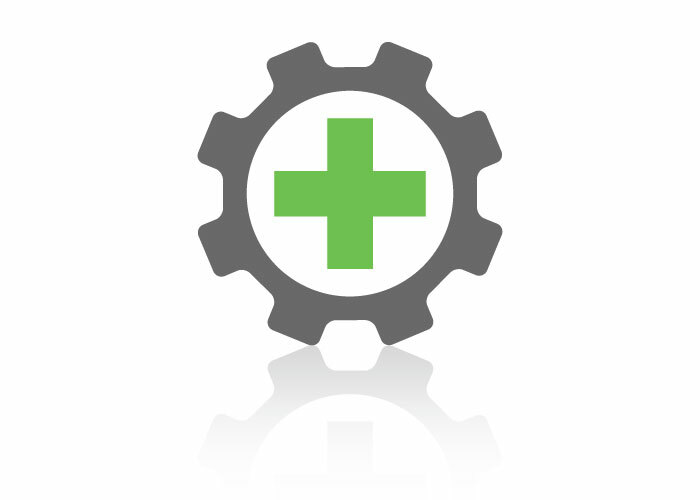 For a patron, there is a consistent single interface to simplify their experience. 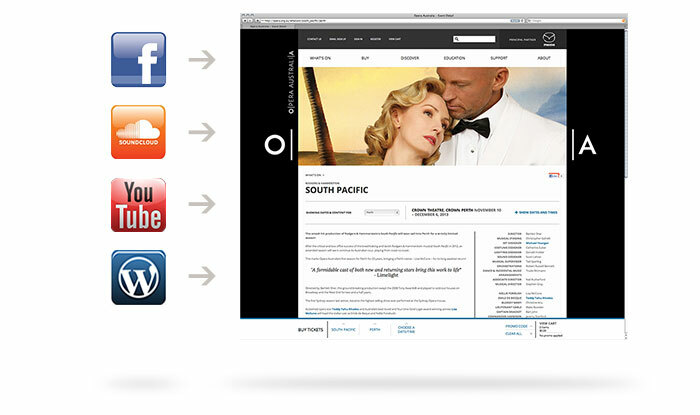 As many organizations do, Opera Australia uses many online media portals for pushing content out to the web. Wordpress, Facebook, YouTube, and more. The challenge becomes how to organize that content in such a way that it can be leveraged across multiple sites, and doesn't become a management nightmare. Fragmentation is a big problem on the web today. Enter eRube2: one of the first content aggregation systems. eRube2 is smart enough to connect with any service online that exposes its informtion to the web. Showing galleries on your site that live on Facebook? No problem. Linking rich video experiences from Vimeo or YouTube to content on your site so that patrons can view it without leaving you purchase path? Slam dunk. eRube2 is a great communicator, and loves connecting with other digital places on the web to levergage existing content so that you won't be wasting valuable staff time uploading content over and over. Providing a wholistic opera experience to patrons is an important part of Opera Australia's value proposition. Going to the opera is more than a night out, it's an experience to remember. From opening night galas and New Year's Eve celebrations, to an evening out with dinner, drinks, and Wagner, patrons should be able to buy their bundle with a single click. To solve this problem, a creative solution that employed Tessitura non-fixed seat packages was used to allow the Opera Australia team to easily build and deploy ad hoc bundles of any combination to the web, specifying how they should be priced and sold when presented to patrons. This advanced functionality took a complicated problem and distilled it into a simple process for patrons, while also streamlining setup for the Opera Australia team. Just because it's complicated doesn't mean it has to be difficult. Find tickets fast from any page. That's the point of the Buy Tickets Bar on http://opera.org.au. 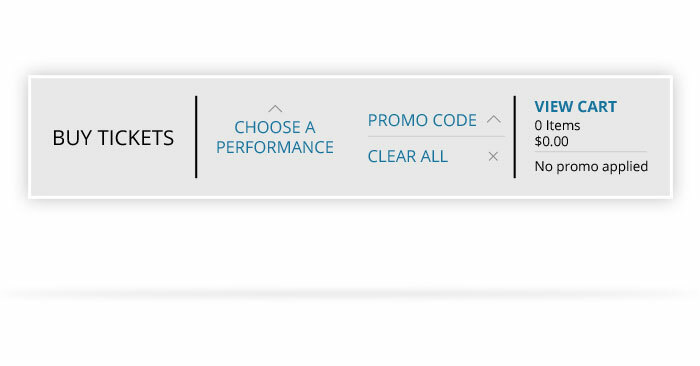 Using the ticket bar a patron can have tickets in their cart in as few as two clicks from landing on the home page. Productions and performances can be preloaded in the bar depending on what page of the site a patron is on, making it easy to link relevant content with the ability to purchase. Patrons can easily find their performance based on date, title or location, and seat themselves using Select Your Own Seat. Buying tickets has never been easier than with the Buy Tickets Bar.